We were expecting to see at least one new game launch during E3 – those hallowed words “It’s available now” always prompt a cheer. You may even have that phrase on your E3 bingo card. 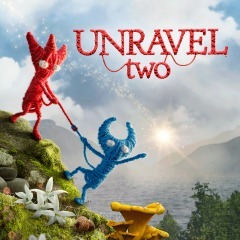 During EA’s conference, the publisher revealed Unravel Two is launching today. This indie sequel has a focus on co-op, starring two Yarnys joined together by a life-changing spark. For better or worse, the short gameplay demo bared simulates with SEGA’s Knuckles’ Chaotix (or Sonic Crackers, if you prefer) using the string as a rope and pulley system. It’ll set you back £15.99 on PS4 and £17.99 on Xbox One (£16.19 with EA Access). The PS4 version comes with a free theme, too. EA has also announced Sea of Solitude (SOS), from Berlin-based outfit Jo-Mei Games. Set in a waterlogged world, it sees heroine Kay on a journey to become human again after being consumed with darkness. The game’s website is now live.